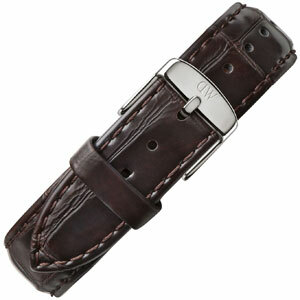 Watchbands.co.uk is official dealer of Daniel Wellington replacement watchbands. We offer the complete complete Daniel Wellington and have all available straps in stock - orders placed on working days are shipped within 24 hours. To find out which size you need, please check the backside of your Daniel Wellington watch. Here you can find the type (Classy, Classic, Dapper or Grace) and a 5 digit code. The first letter of the code is followed by two numbers representing the width of your watch case. If it says '40' you need a 20mm watch strap. If the number is different, please check the other sizes. On this page you can find the 20 millimeter wide watch straps for Daniel Wellington models with a watch case diameter of 40 millimeters. The watch straps of Daniel Wellington are compatible (as long as the size is right). If you like you can simply choose a different colour or material. 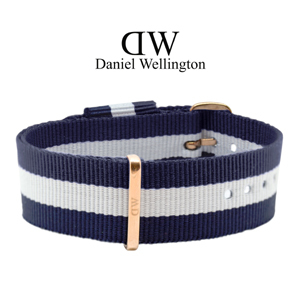 The original 20mm wide NATO strap for Daniel Wellington Classic Cambridge watches with a 40mm case diameter, made of nylon, with an original rose golden stainless steel buckle by Daniel Wellington. 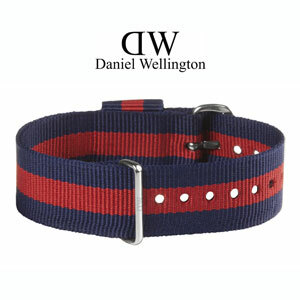 The original 20mm wide NATO strap for Daniel Wellington Classic Cambridge watches with a 40mm case diameter, made of nylon, with an original stainless steel buckle by Daniel Wellington. The original 20mm NATO strap for Daniel Wellington Classic Cornwall watches with rose golden 40mm case diameter, made of nylon. 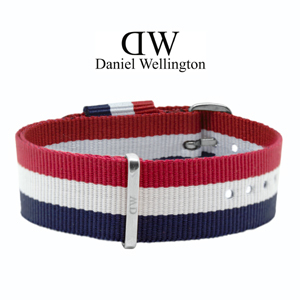 The original 20mm NATO strap for Daniel Wellington Classic Cornwall watches with 40mm case diameter, made of nylon. The original 20mm wide watch NATO strap for Daniel Wellington Classic Glasgow watches (with a 40mm case diameter), made of nylon, with an original rosegolden stainless steel buckle by Daniel Wellington. The original 20mm wide watch NATO strap for Daniel Wellington Classic Glasgow watches (with a 40mm case diameter), made of nylon, with an original stainless steel buckle by Daniel Wellington. The original 20mm wide NATO strap for Daniel Wellington Classic Oxford watches (with a 40mm case diameter), made of nylon, with an original rosegolden stainless steel buckle by Daniel Wellington. The original 20mm wide NATO strap for Daniel Wellington Classic Oxford watches (with a 40mm case diameter), made of nylon, with an original stainless steel buckle by Daniel Wellington. 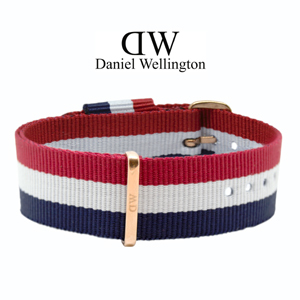 The original 20mm wide NATO strap for Daniel Wellington Classic Warwick watches with a 40mm case diameter, made of nylon, with an original rose golden stainless steel buckle by Daniel Wellington. 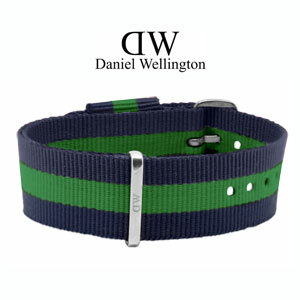 The original 20mm wide NATO strap for Daniel Wellington Classic Warwick watches with a 40mm case diameter, made of nylon, with an original stainless steel buckle by Daniel Wellington. The original 20mm wide watch strap for Daniel Wellington Classic Bristol watches with a 40mm case diameter, made of brown leather, with an original rosegolden stainless steel buckle by Daniel Wellington. 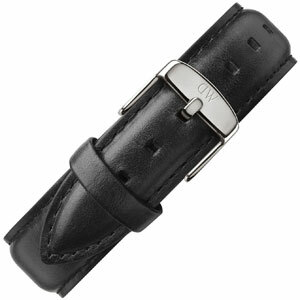 The original 20mm wide watch strap for Daniel Wellington Classic Sheffield watches (with a 40mm case diameter), made of black leather, with an original stainless steel buckle by Daniel Wellington. 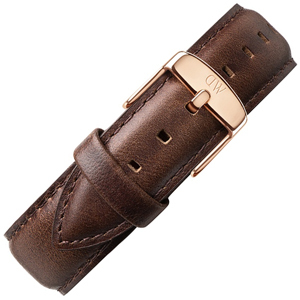 The original 20mm wide watch strap for Daniel Wellington Classic St Mawes watches (with a 40mm case diameter), made of brown leather, with an original rosegolden stainless steel buckle by Daniel Wellington. The original 20mm wide watch strap for Daniel Wellington Classic St Mawes watches (with a 40mm case diameter), made of brown leather, with an original stainless steel buckle by Daniel Wellington.